Pop Out Outlet - Moar Stuff - You don't need it but you know you want it. $43.90 $51.35	Get Your Stuff! Electrical outlets are an ugly but necessary part of life. When they’re hidden behind furniture they’re not so bad, but there are always outlets that you can’t hide. For example, on the kitchen counter (away from the sink). 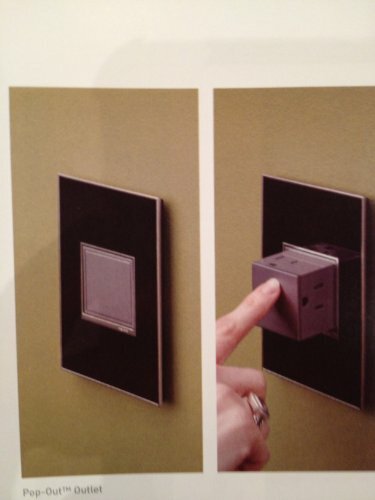 Well, this Pop Out Outlet will allow you to easily hide those ugly outlets when it’s not needed. Like the idea but don't like grey outlets? No problem, you can get them in white as well. It uses a simple pop-up mechanism that makes 3 usable outlets appear with a gentle push. When you’re done with them, simply push on the outlet and it disappears into the wall leaving an elegant square on the wall. Much better than an ugly open outlet, right? Installation of this one gang outlet requires a minimum box size of 22.5 cubic inches (which is pretty standard). So, you shouldn’t have any problems installing these outlets unless you have some really old boxes in your house. If you have two gang outlet boxes, there’s a version to fit those as well. Oh, don’t forget the matching wall plate. Dimensions: 6 x 4 x 3 inches. 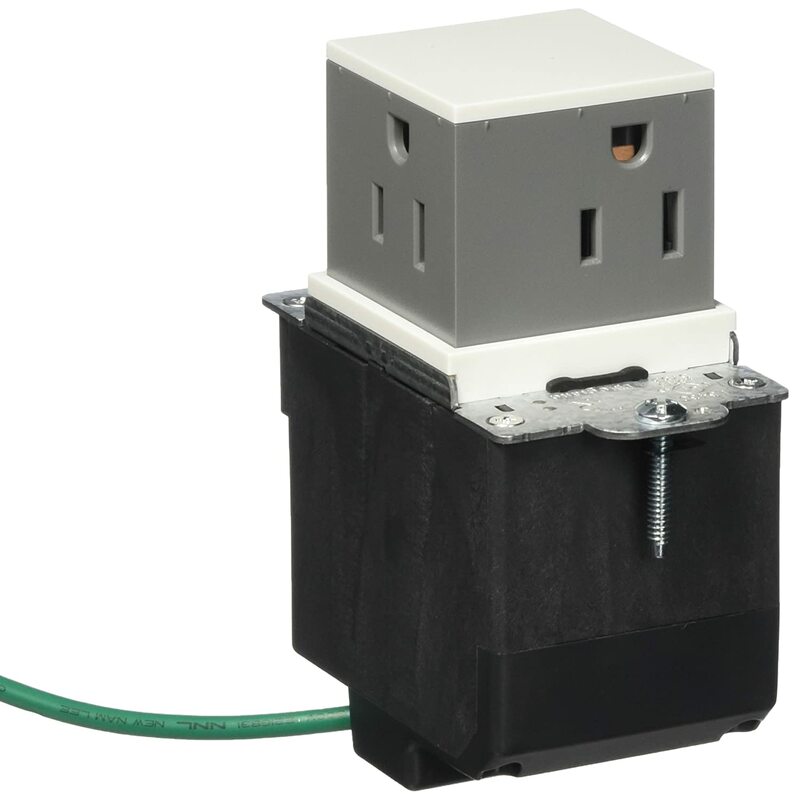 Pop Out Outlet Size: 2 x 2 x 2 inches. Style: 1-Gang pop out outlet. Materials: Metal with plastic & copper parts. Does not come with a wall plate. Yeah, I know it should but, it doesn’t.